Specialization in Money and Financial Markets, Economic Policy in India and Econometric techniques. Dr.Anand Mittal is Ph.D in Economics and is an Associate Professor in Department of Economics at Hansraj College, University of Delhi. He also holds a post of Public Information Officer at Hansraj College, University of Delhi. 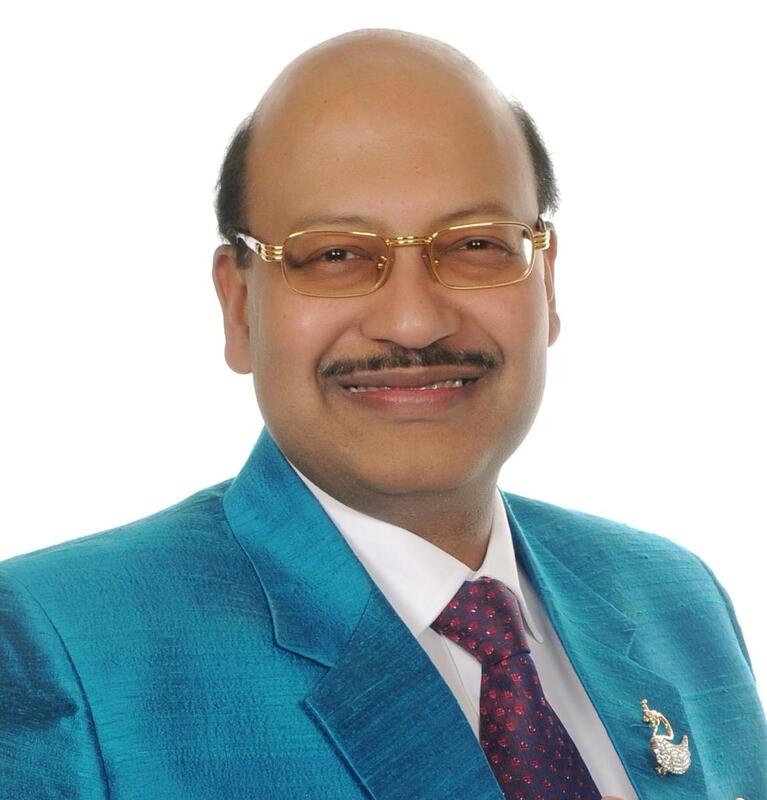 Dr.Anand Mittal has done his graduation in Economics from St.Stephens College, University of Delhi and post graduation from Delhi School of Economics with first Division throughout. He was earlier selected in Indian Civil Services Exam (I.C.S.) (1987) and allotted to Indian Defence Accounts Services. (I.D.A.S. ), He served at key posts as an I.D.A.S. officer, (Ministry of Defence, Govt. of India) as Class1, Gazetted officer to the Govt. of India. He has a Total Teaching & Administrative Experience (Since July 26,1985) of over 31years. He has written numerous books for undergraduate, post graduate and management students and has around 40 publications to his credit. He Specializes in Money and Financial Markets and teaches Money and financial Markets paper to B.A.Hons Economics students. He also teaches Macro Economics paper to undergraduate students at Hansraj College. He has Evaluated Ph.D thesis with suggestions and recommendations for students of various universities including AMITY. Conducted Viva interviews for the award of Ph.D thesis. At present he is member of NAAC Committee, IQAC committee and grievance committee and internal complaints committee of Hansraj College, university of Delhi. He is also serving as Public Information Officer at Hansraj College, University of Delhi. Head of the Dept. -Served as H.O.D at Hansraj College, Dept. of Economics, University of Delhi, in the year 2002-03 and 2009-10. Appointed as a subject expert of Economics in its panel of experts at Union Public Service Commission (UPSC) to conduct interviews for various posts. Served as a Member of Governing Body (2004-05) of Hansraj College, University of Delhi, and Delhi (17.01.2004 to 16.01.2005). Judged various Economic debates & Quiz in various Colleges of University of Delhi. Convener/ Staff Advisor to Economic Society (2012-13, 2013-14 and several years earlier) of Hansraj College to conduct Seminars &Economics workshops in college. Conduced seminars at National Institute of management accounts C.D.A. (Training), Ministry of Defence, Govt. of India, and Meerut. He has served as Head Examiner and convener for various papers taught at graduation level, University of Delhi. Formal training by Govt. of India at key institutes all over the country, Bharat Darshan and Military attachment at J&K sector border area as a part of training for I.D.A.S probationary officer. Public Information Officer (PIO) at Hansraj College. Thesis on “Economic Reforms & Capital Market in India”. Sophisticated Econometric Methods and Techniques were used to fit in various regressions and proper analysis with interpretations and conclusions were drawn with suggestions and recommendations. Ph.D degree awarded in the year 2001 under the convocation held in 2002. Thesis published under the book titled “Economic Reforms & Capital Market in India” (2001) by Galgotia publishing Company, New Delhi. Hon’able Sh.Sompalji, Member Planning Commission, Member XIIthFinance Commision, Govt. of India - Appreciated work done and wrote foreword for the work done for the thesis published. Invited as a Special Guest in BANCON Conference at Chennai organized by Indian Overseas Bank in 2012. Various other National and International conferences attended. FDP at Hansraj College: Organized One day faculty development programmed on Financial Literacy as an IQAC member with National Institute of Securities markets on 23rd March, 2017 at Hansraj College, University of Delhi, Mr.GP Garg, Head, NCFE & Mr.Sahil Malik DGM, SEBI were key resource persons. Syllabus Formation: Member in formation of syllabus of CBCS paper: Money & Financial Markets of BA. (Hons) Economics, Dept. of Economics, Delhi University. Head of the Dept. -Served as H.O.D at Hansraj College, Dept. of Economics, University of Delhi, Delhi-110007 in the year 2002-03 and 2009-10. Appointed as a subject expert of Economics in its panel of experts at Union Public Service Commision (UPSC) to conduct interviews for various posts. Served as advisor member of Provided Fund Committee at Hansraj College for number of years. Member of selection committee for appointment and conducted interviews for selection of Assistant professors in Department of Economics, HansrajCollege, University of Delhi, Delhi. Conducted interviews as an expert for appointment of lecturers in various DAV run institutions in India. Invited CMD of Indian Overseas Bank Dr.M.Narendra twice during 2012-13 & 2013-14 to conduct seminar on Indian Economy. Invited Dean & HOD Dept. of Commerce Prof.J.P. Sharma for seminar on CSR in 2013-2014. Invited Dr.AlokPande, Director, Dept. of Fin. Services, Min. of Finance, Govt. of India and conducted seminar on Pradhan Mantri Jan DhanYojna in 2014-15. Served as Head Examiner and paper setter for number of times for various papers of B.A.Hons. Economics, B.Com (Hons.) and B.A. Programme courses of University of Delhi and other universities. Conducted Viva interviews for the award of Ph.D thesis for various universities. Formal training by Govt. of India at key institutes all over the country, including LalBahadurShastri Academy, Mussorie, Bharat Darshan and Military attachment at J&K sector border area as a part of training for I.D.A.S probationary officer. Course on Parliamentary Process and procedures and studies organized by Bureau of parliamentary studies and training, LokSabha Secretariat,(1989) Govt. of India , Delhi – Certificate awarded by Secretary General, LokSabha (05.06.1989 to 09.06.1989). Professional Devt. Refresher Course Entitled – Political Economy and computer workshop with sophisticated Econometric package ‘SHAZAM’ conducted at Delhi School of Economics by Centre of Professional Devt. In higher Education, University of Delhi, Delhi – 1999, certificate awarded by Prof.S.Neelamegham (10.03.1999 to 30.03.1999 (Three Weeks)). Completed 1st& 2nd Degree Course in Traditional Usui Shiki Ryoho System of Reiki from THE MIRAGEcentre for holistic healing in the service of Mankind. (Year 2002) – Certificate Awarded. Internal guide for M.Phil. And Ph.d students for various Economics and allied courses especially in the field of finance, public Economics, Devt. Economics etc. Having specialization in Econometrics, students enrolled in Ph.d and M.Phill are guided to properly use Econometric techniques & Statistical Methods as important toolsfor their research work. Specialized in Money and Finance, Econometrics, Microeconomics & Macroeconomic Models. Evaluated Ph.D thesis with suggestions and recommendations for students of various universities including AMITY. Ms. AnuPrashant, Amity University, UP, Thesis Entitled "Indian Textile Industry in border less trade regime w.r.t. Post M.F.A under ATC (WTO) and its affects on textile and apparel sector" was evaluated & Viva conducted for the award of Ph.D degree. Paper setter and examiner for various competitive examinations of Post Graduate level. Taken lectures and tutorials for various post graduate management courses. Paper setter and examiner for various UPSC conducted examinations. I am in the panel of Advisers/Experts of UPSC and provide consultancy services as advisor and expert in economics in their various interviews, selection and recruitment processes. I am adviser and provide consultancy services to M/s SMP Securities Ltd., Delhi (registered with SEBI) a reputed corporate company providing services in Capital & Financial Markets including BSE, NSE, CDSL, Mutual funds and other investment and fund based activities. Have provided consultancy services to the firm on honorary basis for a number of years now. I am adviser and provide consultancy services to M/S K.G. Sharma & Co. (Chartered Accountants), Delhi which provides accountancy and allied services in financial markets to its clients. Have provided consultancy services on project evaluation and valuation of financial market instruments to the firm on honorary basis for a number of years now. I have done evaluation and conducted viva interview for award of Ph.D degree at Amity University, Uttar Pradesh. I have given my advisory and expert services for the above Ph.D evaluation/award. I am in the panel of Experts in Economics for DAV run institutions as an advisor in their selection and recruitment process and conduct interviews. I am in the panel of Experts in Economics for Goodley Public School, Shalimar Bagh, as an expert in their selection and recruitment process and conduct interviews.